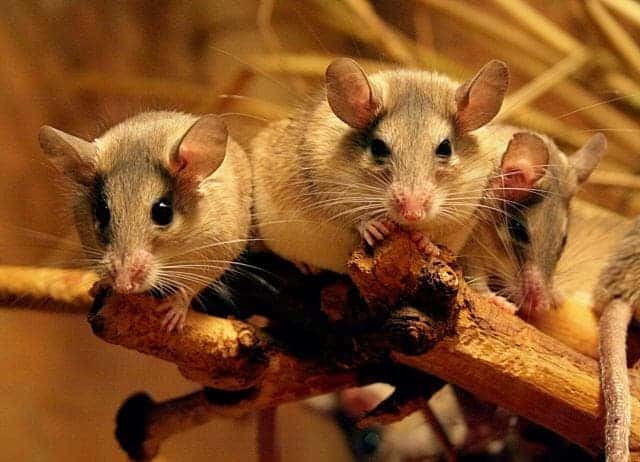 These little spiny African mice can do something no other mammal can: they completely regenerate damaged tissue, a feat once thought impossible. Looks bad, but don’t worry – this guy will heal just fine. They may not look as impressive as Wolverine, but they held quite the surprise: Acomys kempi and Acomys percivali have skin so brittle and easily torn that one can only ask… why? What evolutionary joke was played on them? Well, the joke’s on their predators, actually: because the skin is so fragile, the mice can easily escape even successful attacks by simply tearing their skin, which heals afterwards. Researchers report today in Nature that whereas normal laboratory mice (Mus musculus) grow scar tissue when their skin is removed, these African mice can regrow not only skin cells, but also hair follicles, skin, sweat glands, fur and even cartilage. Regenerating cartilage – as common as this is in insects, reptiles and even amphibians, few even suspected this may be naturally possible in mammals. Of course, the next step is figuring out how they do it – understanding the genetic, hormonal and molecular mechanisms which make this spectacular regrowth possible. 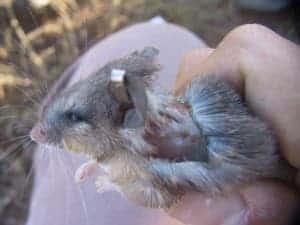 “It’s unlikely that these mice have evolved an entirely new method of regrowing tissue“, says Ashley Seifert, a developmental biologist at the University of Florida in Gainesville, leader of the study. She believes the same regrowth genes found in salamanders for example, are found in mammals as well, but they are turned off. Somehow, the mice have found a way to turn them back on. Of course, if this is possible, there’s a good chance they could be turned on in humans as well; just imagine, years from now on humans could naturally be able to regenerate tissue! Perhaps one day you’ll thank this guy for regenerating your hand. Jeremy Brockes, a researcher focused in limb regeneration in newts at University College London agrees this is a spectacular discovery, one which could be applied to humans someday. The genomic resources are so powerful now that one could easily identify some aspect of regeneration in mice that could be helpful for human health,” he says. Of course, the idea of humans regenerating whole limbs might seem far fetched, but considering the advances made in regenerative medicine only in this past decade, with lab-grown organs, stem cells, and other regenerated tissues, one starts to guess that turning on a salamander gene in humans is not science-fiction after all. The intertwining of different field of biology often leads to remarkable results. “My initial conversations with a developmental biologist led me to chat with a mammalogist, eventually bringing me to field work in Africa with an ecologist, followed up by lab work with engineers, completed by molecular work,” he says. “Cross-talk among scientists can lead to really cool things.”, Seifert adds. Scientific source: Seifert, A. W. et al. Nature 489, 561–565 (2012).